Woman asks why Airedale A&E failed to see broken hip (From Craven Herald). A woman who was told at Airedale Hospital that she had pulled a muscle and should go home and rest later learned that she had actually broken her hip. 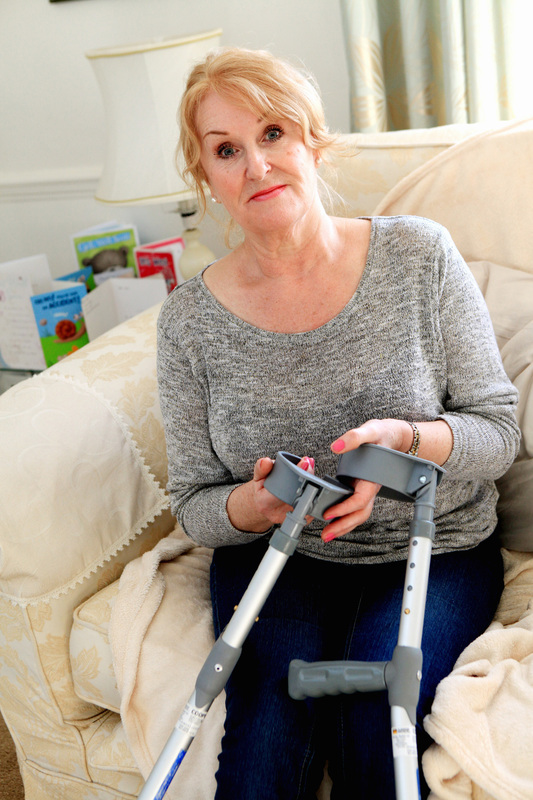 Carol Barton, 65, was in excruciating pain after falling heavily on a wet surface outside New Pudsey Railway Station last month. “I managed to get up, but I knew I’d really hurt myself,” she said. “I couldn’t walk and had no control over my right foot,” she said. At the time, Mrs Barton had been travelling with her partner, who lives in Cross Hills. He drove her to Airedale – the hospital closest to his own home with an accident and emergency department. Doctors there suggested Mrs Barton had probably pulled a muscle and advised her to go home and rest the leg. She said she was surprised that the doctors did not x-ray her leg, but accepted their advice. After several days of “hobbling around in agony” her partner drove her back to the hospital in order to get a second opinion. After explaining what had happened, Mrs Barton was immediately referred to a consultant orthopaedic specialist, who arranged for her leg to be x-rayed. After looking at the results the consultant told Mrs Barton, who lives near Northallerton, that she had a broken hip and would need an immediate hip replacement. Just three days after she had been told she had a pulled muscle she underwent surgery to replace her right hip. “I’m very angry that the hospital didn’t take an x-ray of my leg when I first came into A&E,” she added. Stacey Hunter, director of operations at Airedale NHS Foundation Trust said: “It is regrettable that Mrs Barton was not x-rayed when she first attended our A&E department following her injury. “When she returned to A&E, Mrs Barton was x-rayed and immediately referred to an orthopaedic specialist for urgent surgery which then took place. She explained: “We’re carrying out a thorough investigation to understand why this happened and as part of that process we will be reviewing our procedures to ensure they are as robust as they can be. I was admitted to hospital in excruciating pain after ‘snapping’ an implant in half and it took a week to diagnose even though they took an x-ray prior to and on arrival clearly showing the ‘separation of the implant! I was thinking I was losing my mind by the time I was actually diagnosed!! Failed by my own profession!! Sadly, this doesn’t surprise me.